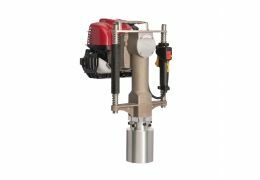 Our half round post and rail fencing kit includes all the timber you need to erect 100m of half round post and rail fencing in your choice of timber and rail options. 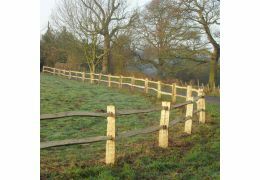 This is one of the most popular natural design of post and rail used in both domestic and equine establishments. Our Cundy peeled post and rail timber is responsibly sourced from FSC certified producers. Cundy peeled timber peels the outer bark leaving the strength in the timber, one sawn edge and one slight uneven natural half round, which varies in width from 100mm to 125mm face and a depth 60-75mm. Machine rounded timber is neat in appearance, it comes with one sawn edge and planned 100mm half round finish. The neat appearance and symmetrical design make for easier installation and appeal to those looking for a more aesthetic uniform consistent look. Our machined rounded post and rail timber is responsibly sourced from FSC certified producers. 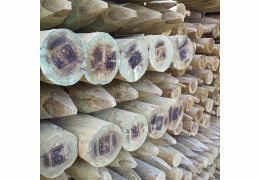 All our in ground contact timber is supplied in kiln dried pine/larch only, pressure treated to BS8417 and identification branded for full traceability. This whole process guarantees a minimum desired life of 15 years.